I’m talking. He’s attempting to follow. No discernable climax or conclusion appears to be on his horizon so he interjects with a logical question. "What's the point of your story?" "I might have one. I just don't know what it is yet." I communicate to discover my point. He communicates only if he has a point. Perhaps like me, you communicate in attempt to connect with and correct people, or change circumstances you most desire. But often these attemps fall flat. What if we took our words to vertical conversation, before we went horizontal? What if we talked to God before we talked to others? What if we allowed Him to filter our emotions, fears, feelings and responses through His truth before uttering a word? Because here's the thing: Talking gets it out, but prayer gets it done. I love talking, but, I've learned if I want things to get done, then I need to talk to the One whose words accomplish and achieve. The first words He spoke were "Let there be...... and it was so." And it still is because He hasn't said otherwise. There is no one whose words are more powerful to affect change than God's. No wonder His decreed will is for us to be joyful, prayerful, and thankful, always. Prayer puts our words and desires into the trusted hands of the One who can get ‘er done. We know we can confidently ask Him for His will based on 1 John 5:14. So how do we know what to ask? 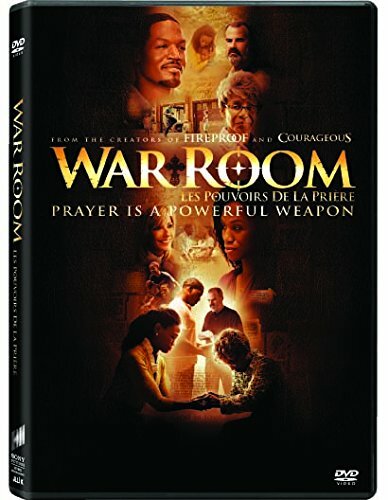 I recently re-watched the film War Room and felt the kind of stirring for prayer only the Holy Spirit can bring. Fervent is not a book about prayer. It is practical, eye-opening guide to pray seriously, specifically and strategically against your passion, focus, identity, family, confidence, calling, purity, rest and contentment, heart and relationships. When you are finished, the walls of your mind and in your home will be covered with Swords of the Spirit, a prayer covering will be over you and your loved ones, and eternity will never be the same. This book will enable you to pray the Words of God for your life, which will invite the will of God in your life. Let every frustration in your life fuel fervent prayer because He knows how to get 'er done. *B&H gave me a free copy of Fervent in exchange for my honest opinion. 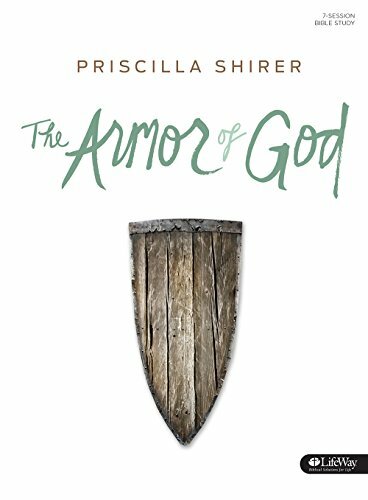 Armor of God is a Bible study I highly recommend on.... the Armor of God. If you want to live your life, strong in the Lord, this will practically guide you through the Word to that. 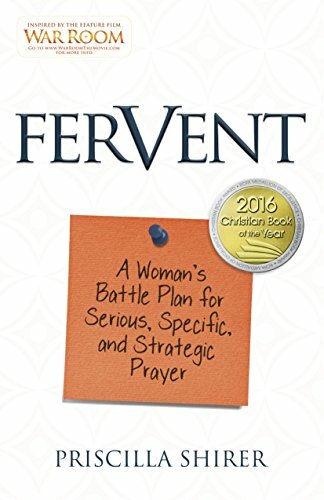 Fervent is a deeper dive into the prayer strategies mentioned in Armor of God. War Room will inspire you to fight on your knees for your loved ones.